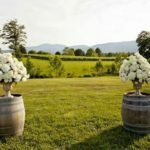 Gold, whether we’re talking about the color or the precious metal, needs to be used with care and in the right proportions otherwise it can overwhelm the whole design. 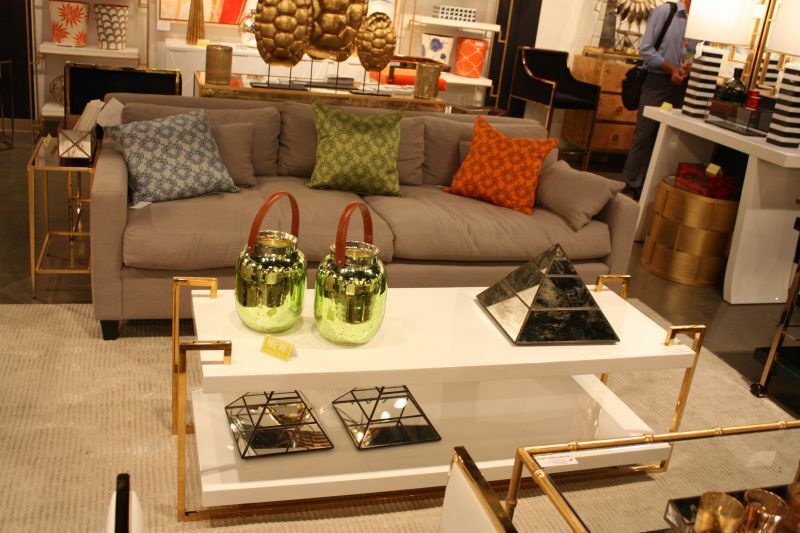 In the world of furniture, a gold base in combination with a simple and solid body can be a great look. 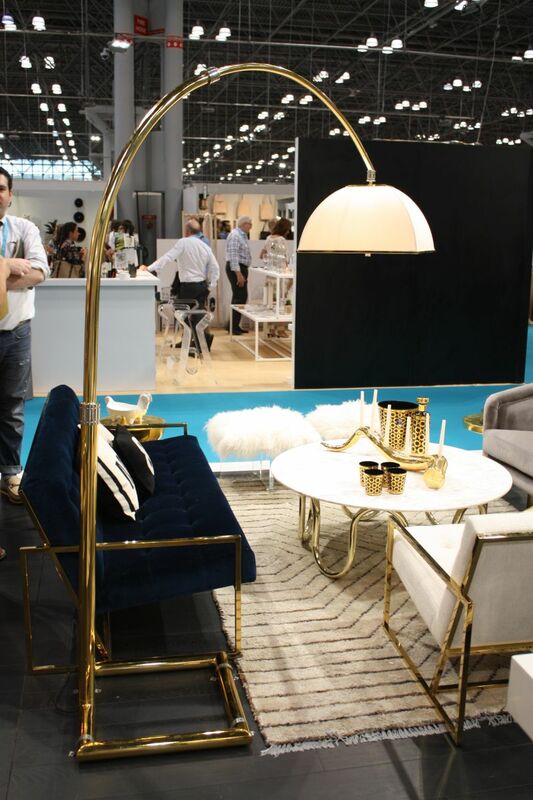 Furniture with gold legs also has that unique touch of glamour that we love without looking opulent or kitschy. That’s what we’re going to focus on today. 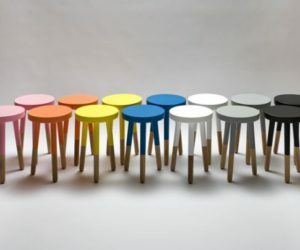 The design idea we mentioned can be applied to pretty much anything from coffee tables to sofas and stools. 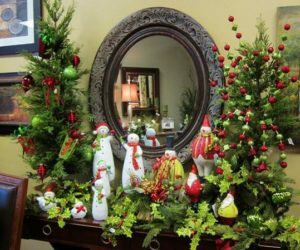 There are also a bunch of great styles and combinations of materials that can play with these golden accents in wonderful ways. 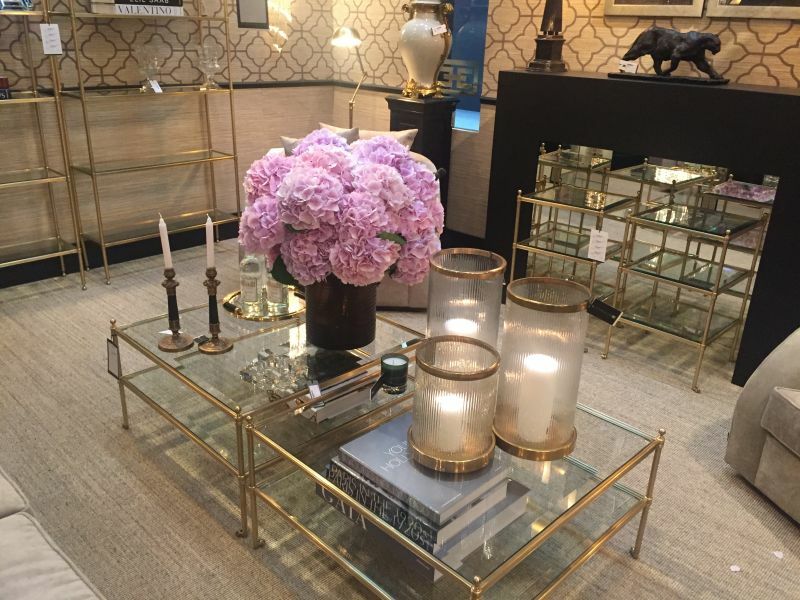 Even everyday accessories like floor and table lamps or vases and planters look exquisite with a touch of gold in their design. 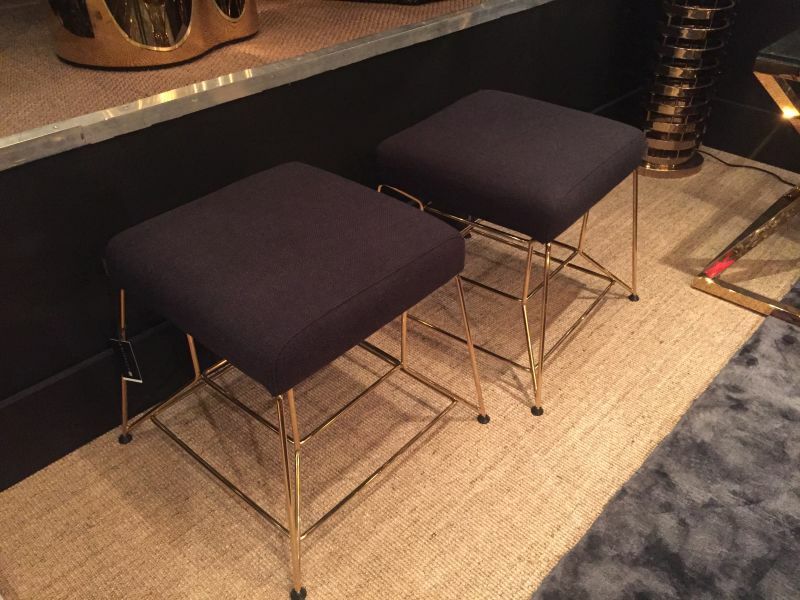 They can be used in combination with matching furniture or they can be the only elements with glamorous gold in their design. 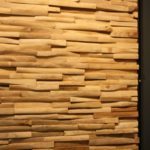 One of the details at the base of a successful design is the right palette of materials used in the right proportions and with the right finishes. We really enjoy the contrast featured here, between the sleek tapered legs and the solid table top in a more toned down color that captures the uniqueness of the material. We also enjoy the contrast of textures between the shiny golden base and the fabric upholstered body of this elegant set of chairs and sofas. 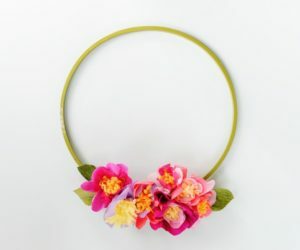 There’s also a hint of playfulness in the design materialized in simple forms with a fun and quirky twist. 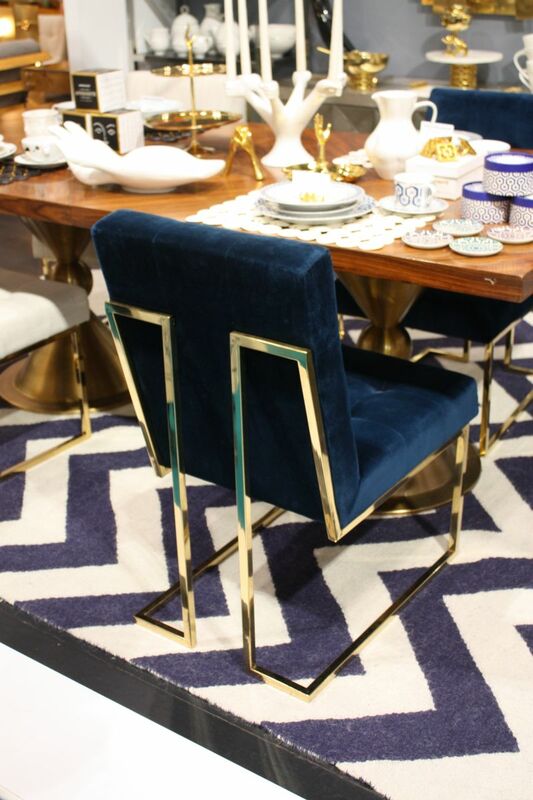 There’s a lot going on here and this gorgeous dining chair is definitely the center of the attention. 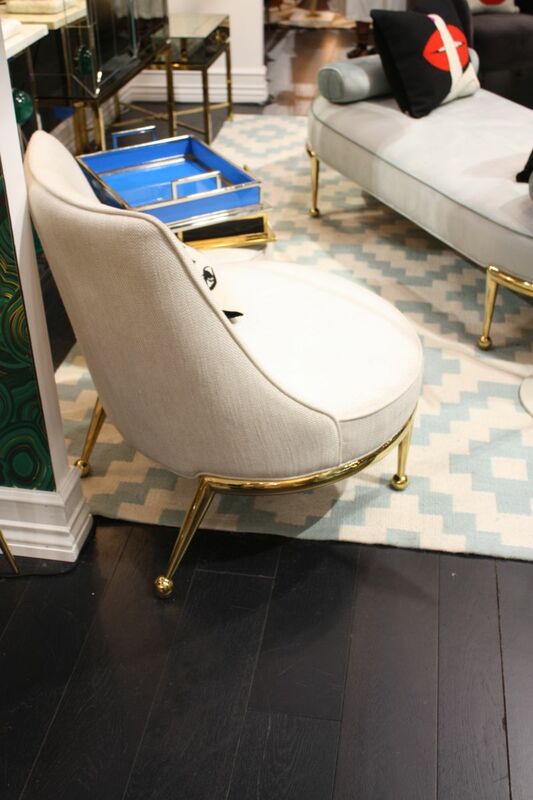 The dark blue upholstery has a royal allure and this makes gold the perfect match as an accent color. 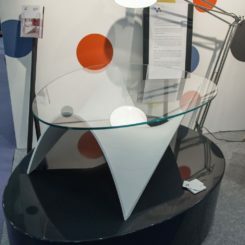 In addition, the geometric design of the frame brings the piece into the sphere of modern furniture. 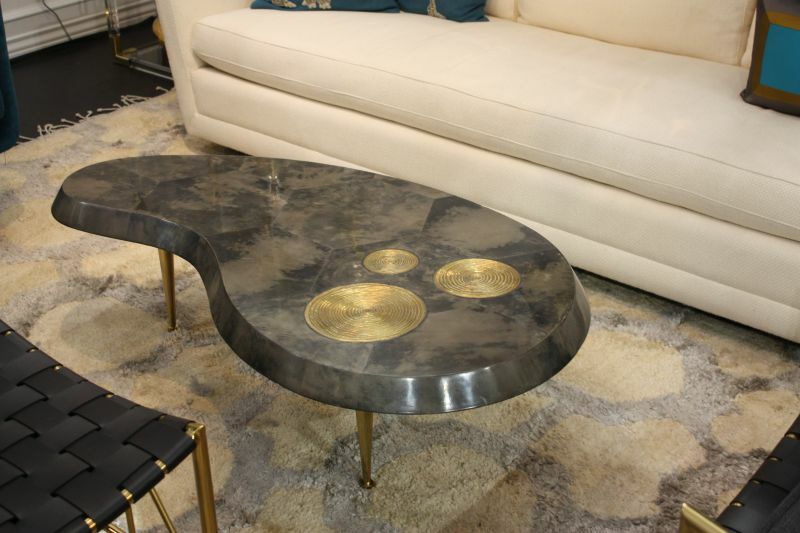 On the other hand, there’s nothing outdated about this sleek coffee table. 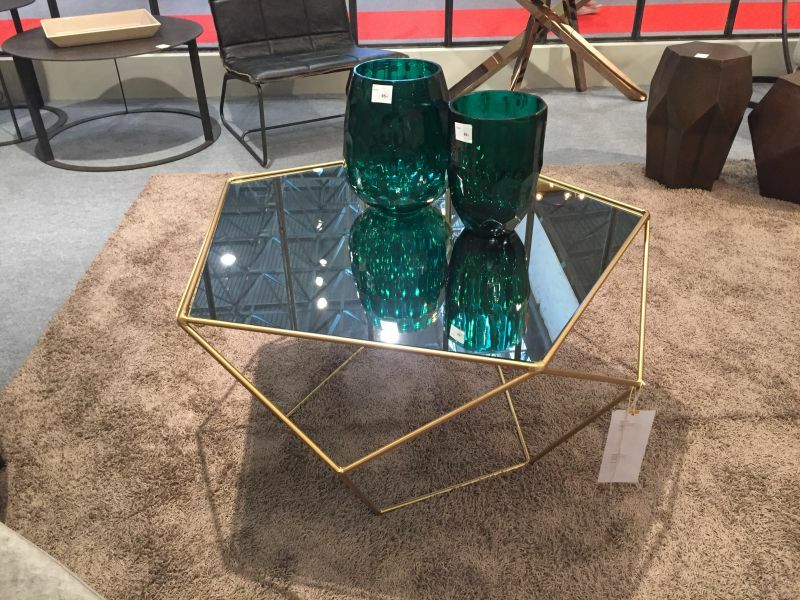 It has an eye-catching base with a geometric design and a lovely golden finish complemented by a hexagon-shaped glass top with a beautiful dark green tint. 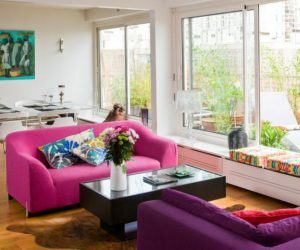 A similar design strategy is featured by this rectangular coffee table. 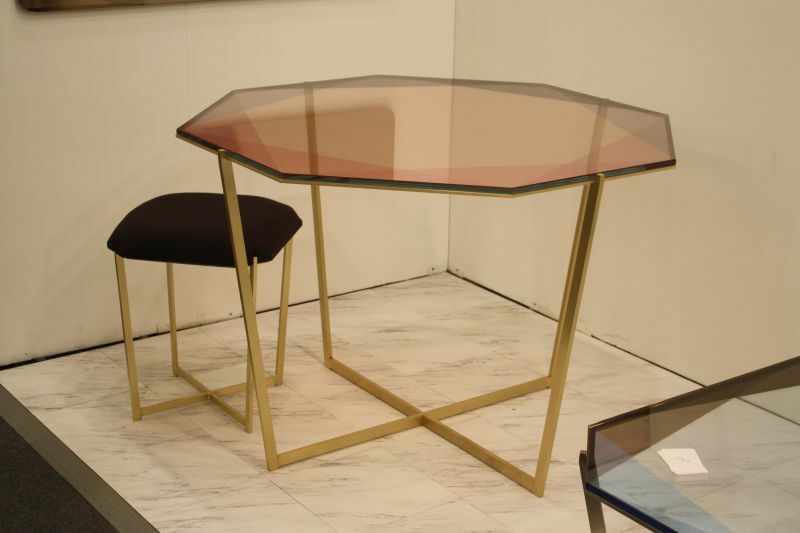 The brown tint on the glass top adds a touch of warmth and elegance to the design while also looking exquisite in combination with the gold base. 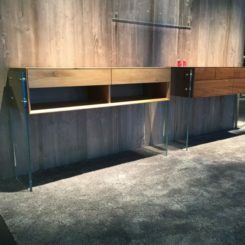 The clear glass top and bottom shelf allows the frame to stand out in this case. 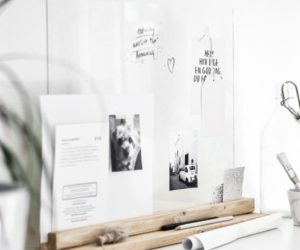 This gives the table a particularly lightweight and transparent look and this increases its versatility, especially when it comes to small or crowded spaces. 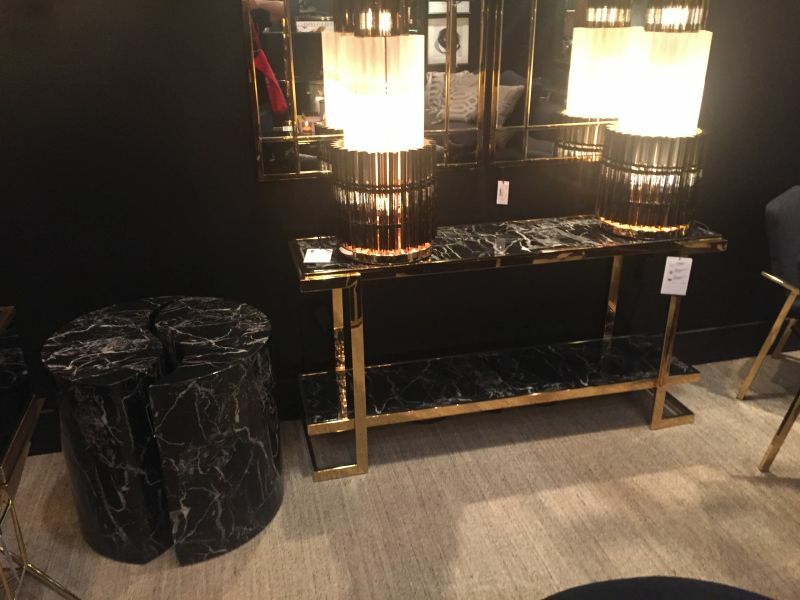 We find gold to be a very glamorous and elegant color so mixing it with exotic materials such as certain woods or marble is definitely an interesting choice meant to increase the overall exquisiteness of that piece of furniture. 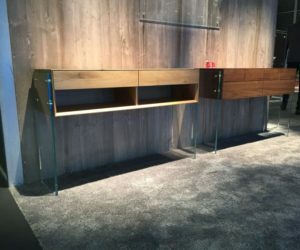 A interesting example is this elegant console table which doesn’t need any accessories to stand out. Gold and marble also form a duo in this case, although indirectly. 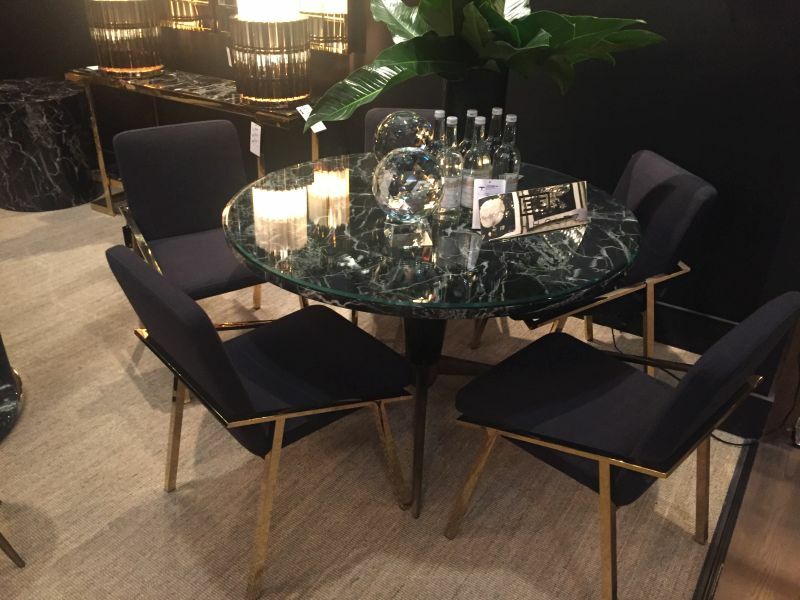 The table has a dark marble top with rich veining while the elegant chairs have golden frames with sleek, geometric lines. 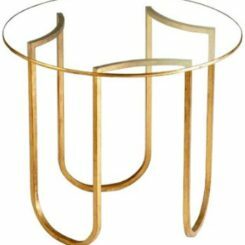 Sculptural is a perfect word to describe this console table with. 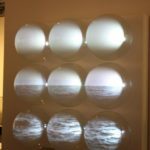 The satellite-inspired base alone is enough to make this a focal point for the space. 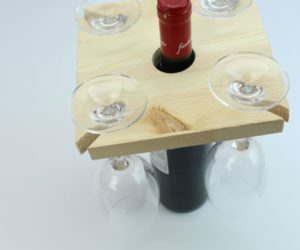 That’s probably why the top was kept minimal. 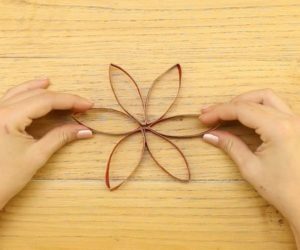 It has a simple and transparent design with delicate curves and an organic shape. 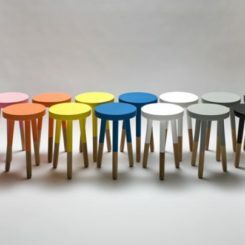 The legs that support these stools may be thin but they’re strong and durable, plus they look rally beautiful in combination with the upholstered top given the dup of colors and the contrast of matte and shiny finishes. 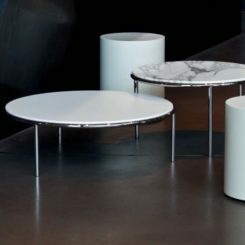 Looking at this contemporary coffee table, it seems as if the metal frame controls the entire design, featuring claw-like supports that wrap themselves around the body of the table. 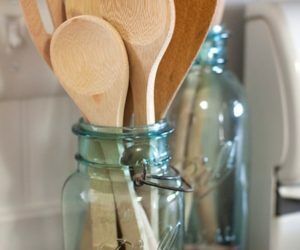 The clean white top and bottom shelf maintain a fresh and casual look. 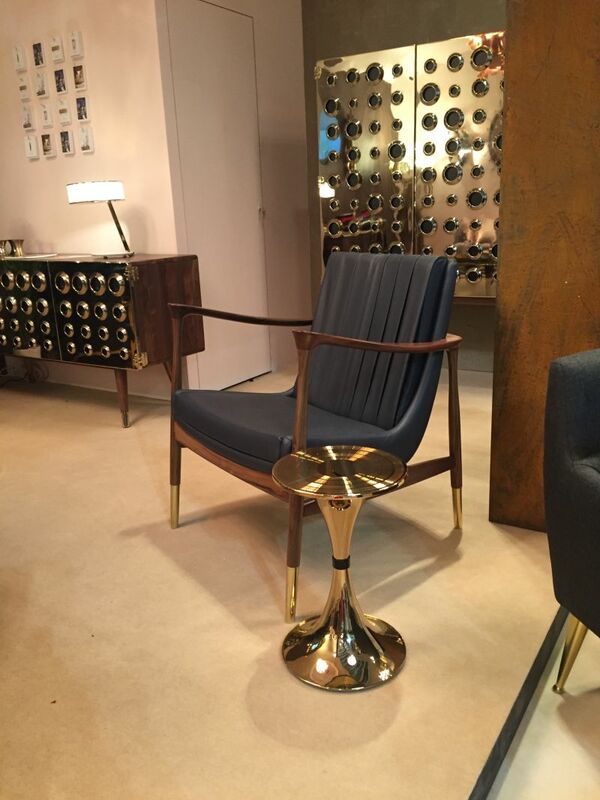 A design that could easily be overlooked or considered outdated is brought back to life by this glamorous gold finish. 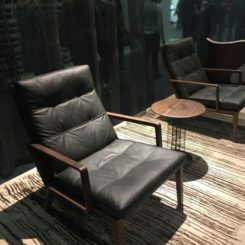 The chair itself has a metal construction with a geometric design and is meant to be used in combination with seat cushions for a beautiful contrast of texture, color and material. The gold and black combo is one of the most exquisite and timeless. 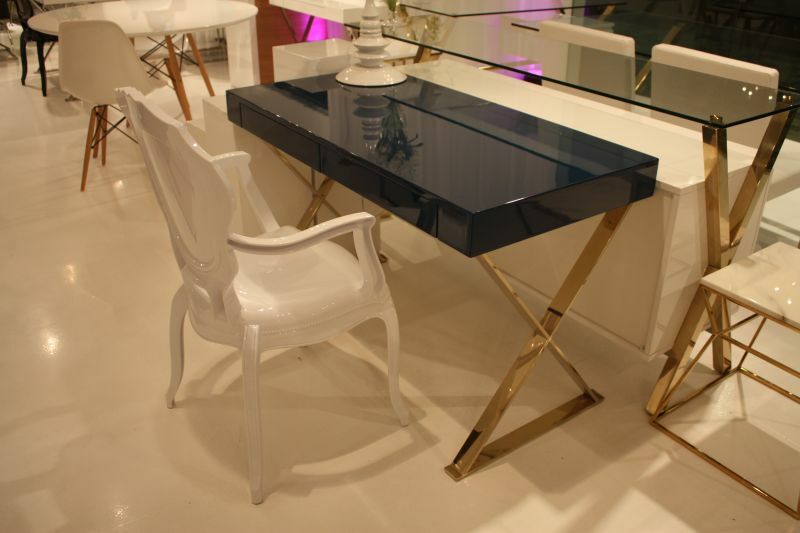 It’s a symbol of opulence and elegance and you can that here in the form of a contemporary console table/ desk. 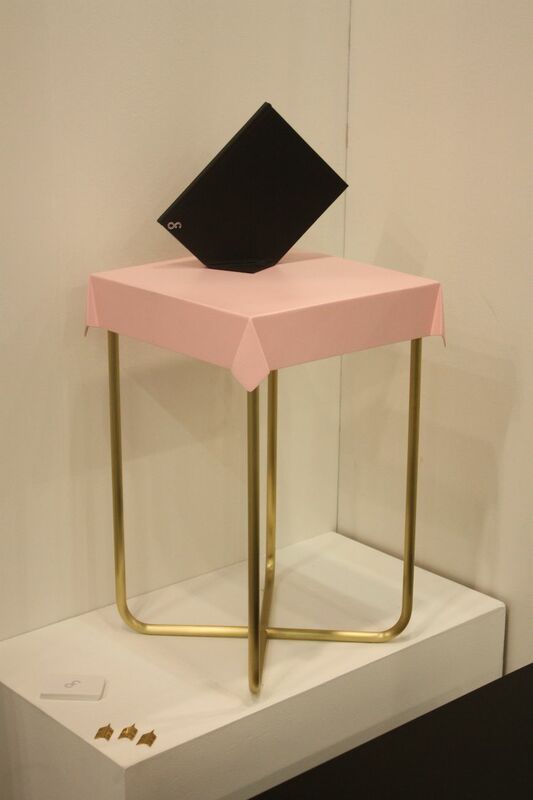 The glossy black top is complemented by a geometric metal base with a gold finish. 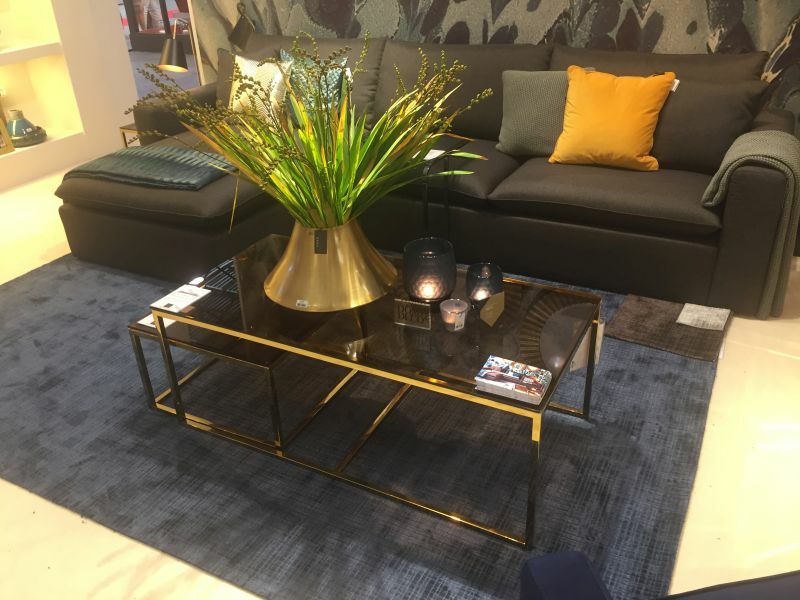 A piece of furniture with gold legs or a gold base is the perfect option if you want the decor to look chic and stylish without being too opulent and not necessarily sophisticated. 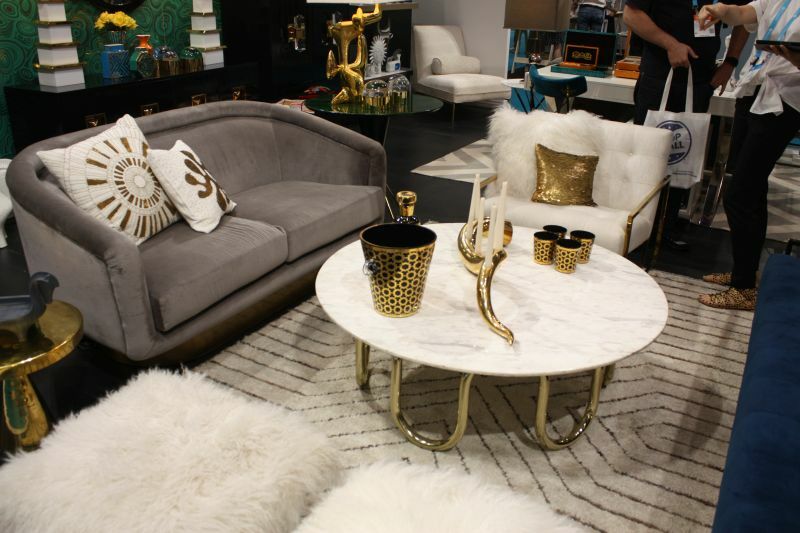 You can maintain a casual ambiance while also making sure the space looks glamorous. 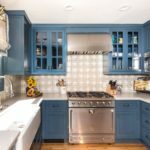 Accent colors such as gold or silver or any other metallic tone in general have the potential to look great when combined with any other color. Black and white are classical options but you can see here that even more unusual shades such as this lovely pastel pink can look exquisite in a similar design setting. 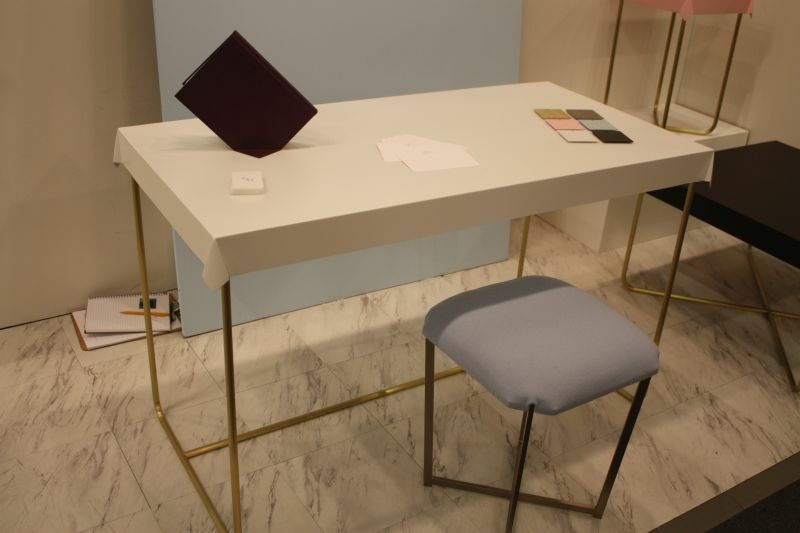 This stylish desk is part of the same collection as the pastel side table featured above. 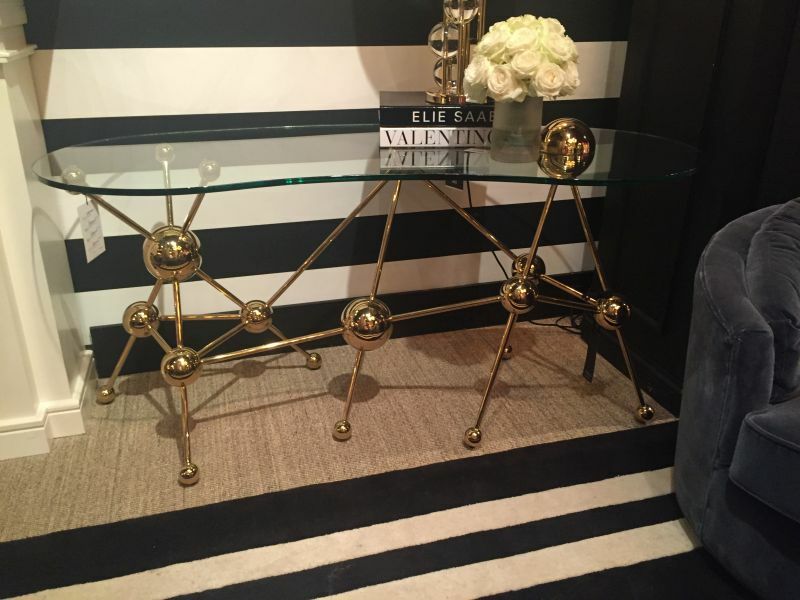 It has the same delicate and beautiful lines and gold base and the toned down color used for the top is the perfect counterpart for the glamorous base accent. 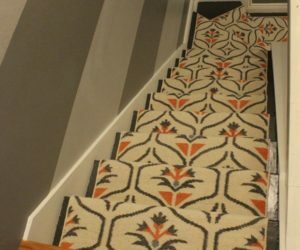 Geometric designs and interesting colors go hand in hand. 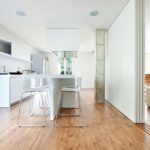 Similarly, strong and eye-catching accent colors such as gold work great in combination with minimalist forms and simple designs. 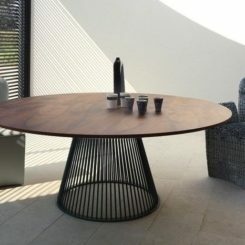 A combination of all these elements is featured by this table and chair combo. 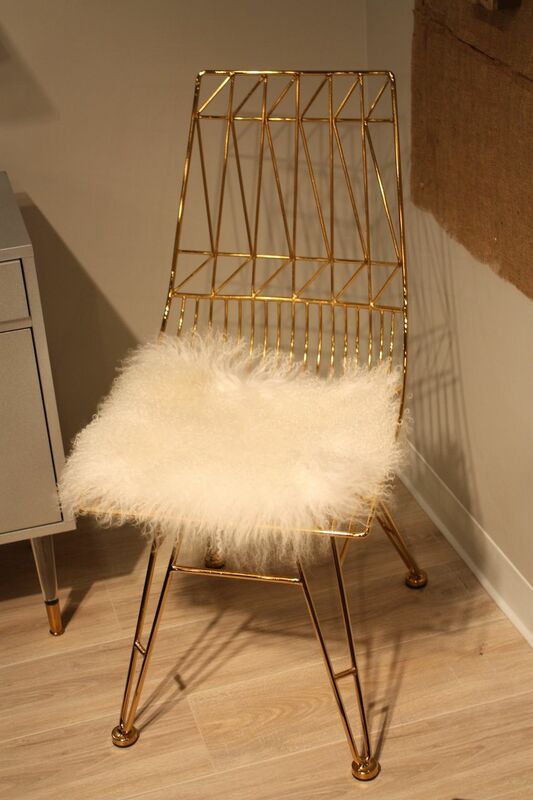 What we love most about this decor is the elegance of the gold-tipped chair legs. They contrast with the exotic wood frame and the black leather upholstery. 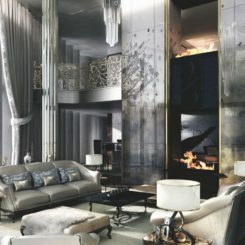 Such a design can look really elegant when combined with other matching design details nicely spread throughout the space. 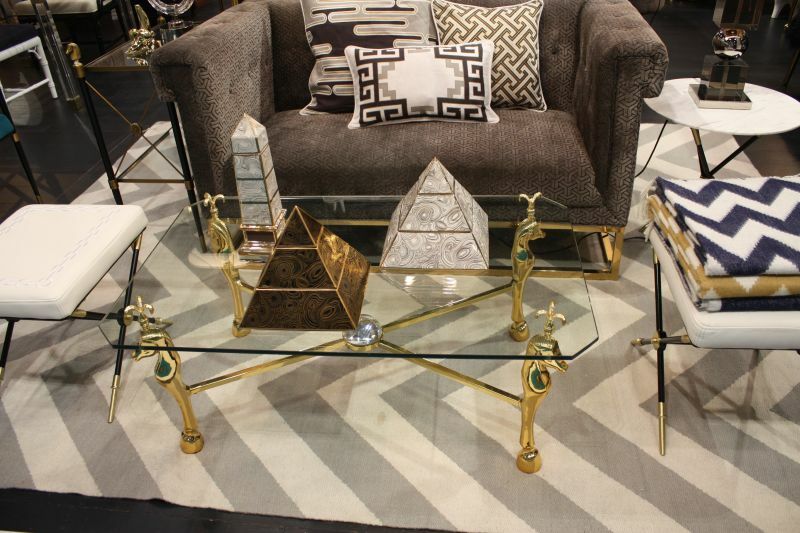 In this case, golden accents come in the form of a sculptural side table and glamorous accents throughout.